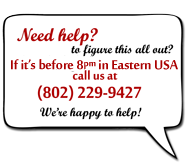 Click the images for a larger view! My grandparents started it all. 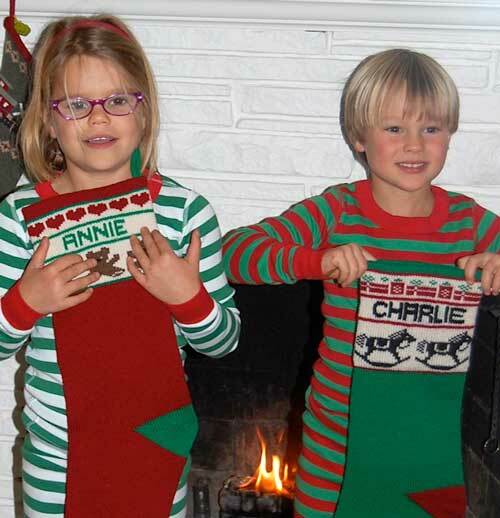 A long time ago they purchased these stockings for us. Over the years we added for additional grandchildren and spouses. 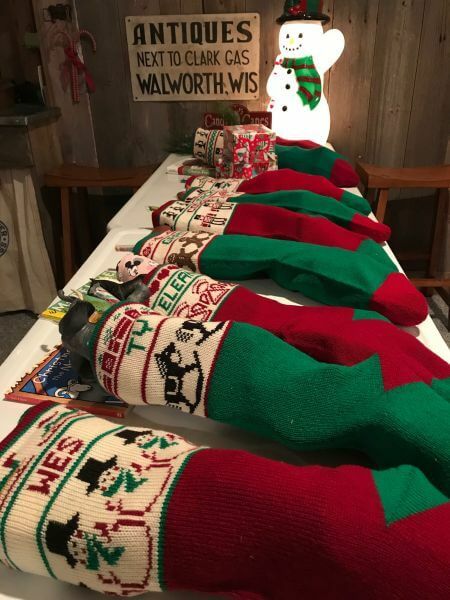 These stockings have been in many states as we travel from year to year during Christmas. 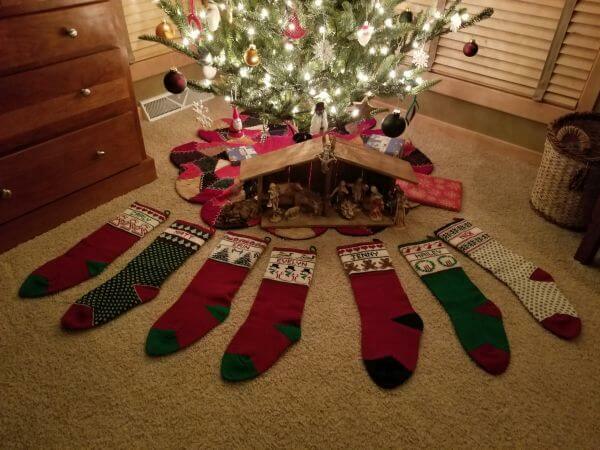 Our grandparents both recently passed last year, so these stockings mean even more to us now as their gift will always bring fond Christmas memories together. We love our new stockings this year! 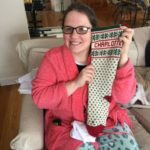 Our youngest finally got her own stocking that matches the rest of us! 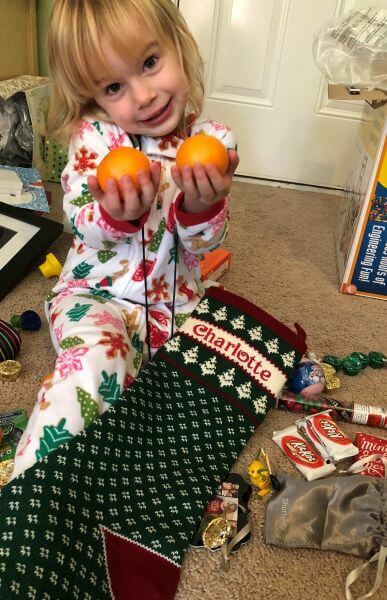 She’s showing off our stocking tradition which I know many are familiar with – oranges in the toe! Santa delivered small oranges this year so she got 2! Santa Claus moves the stockings from the mantel to Mom and Dad’s bedroom. 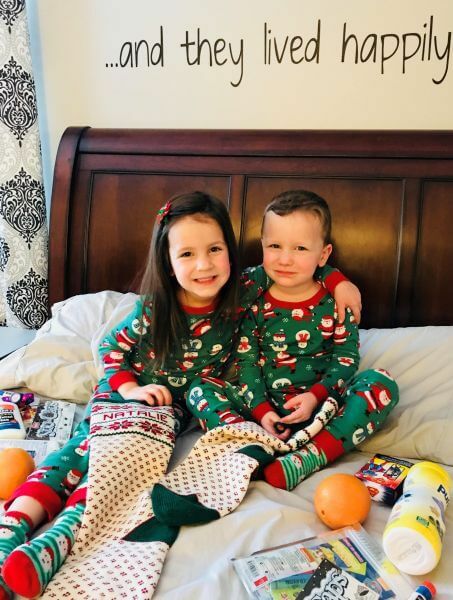 On Christmas morning, the kids’ first stop, even before the Christmas tree, is Mom and Dad’s bedroom so that everyone opens their stockings together on Mom and Dad’s bed. The stockings always have everyone’s favorite treats and a bright, large orange in the toe of the stocking. Putting up our stockings every year represents my favorite part of holiday decorating. 24 years later, Charlotte still loves her special Christmas stocking. We open our stockings youngest to oldest before our other gifts. Santa likes to bring things like socks, trinkets and a favorite candy of each recipient. In June our second grandchild will be arriving! I can’t wait to order his/her Christmas stocking. 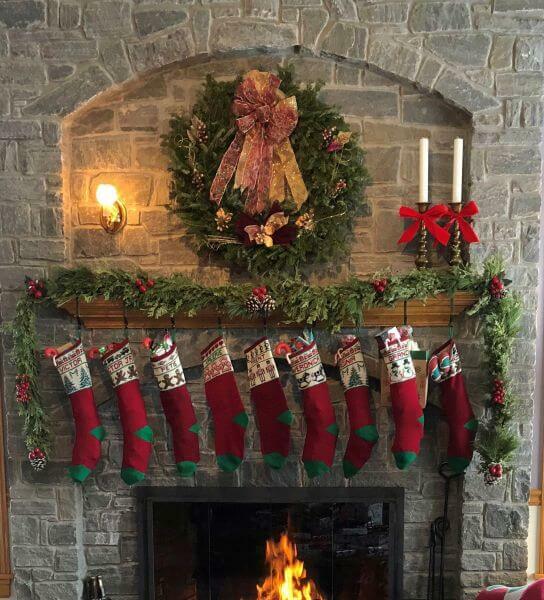 These stockings have added much joy and beauty to our Holiday season. Thank you so much Marge and crew! I started a tradition of getting a stocking for each of my children once they were born (including our beloved dog, Kona). 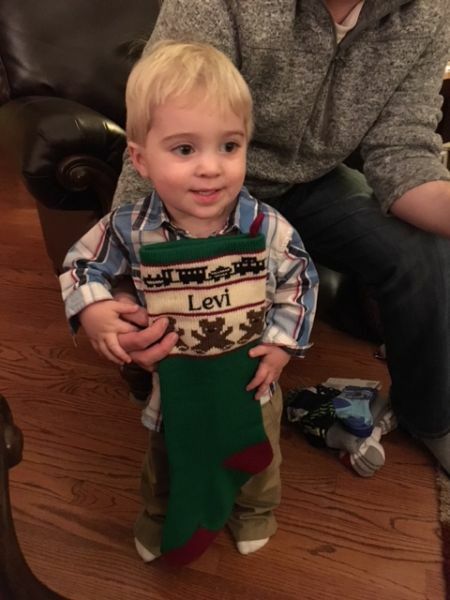 Once my children grew up and started their own families, I continued the same tradition for them and would give them a Mommy and Daddy stocking and one for each of my grandchildren. 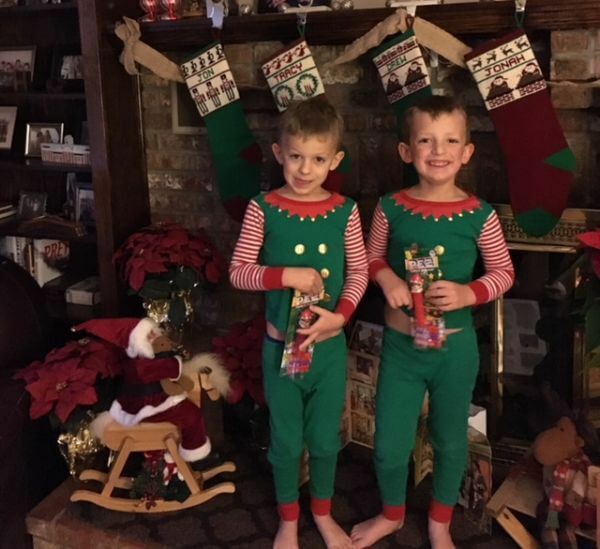 One of the traditions we started with our own children was putting a candy cane in the bottom of only one of the stockings on the mantel. They delighted in waking up Christmas morning to find out who got the candy cane in their stocking. 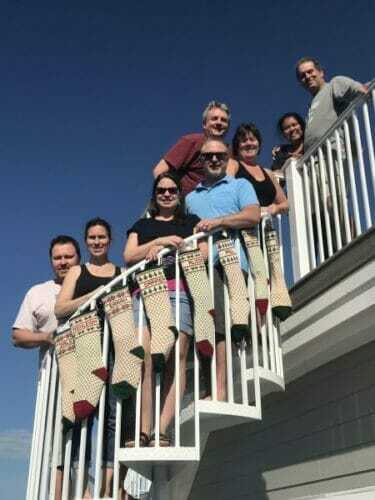 When we got married, I wanted a nice knitted stocking like my husband’s. Found one of yours and ordered it. Then he wanted one like mine! As we had children, they each got one. 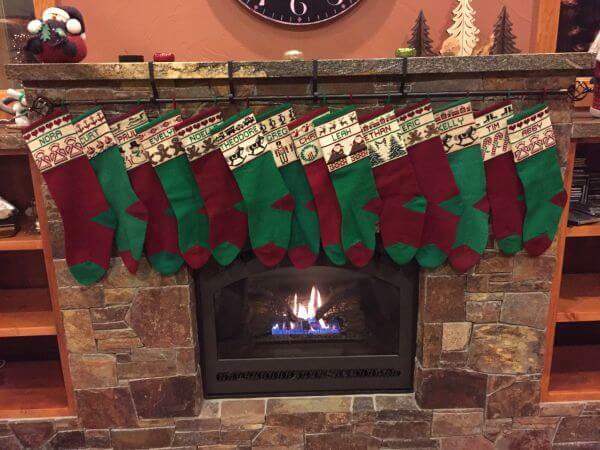 Fast forward 25-30 years and we are up to 14 stockings and will need another in spring! 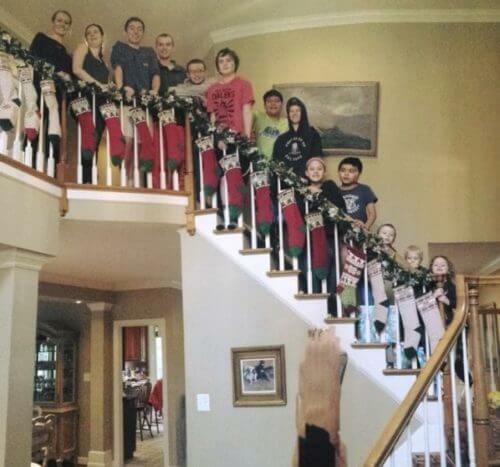 We bought a curtain rod so we could hang all the stockings up when we are together at Christmas. These stockings make me very happy. Thank you for staying in business all these years! 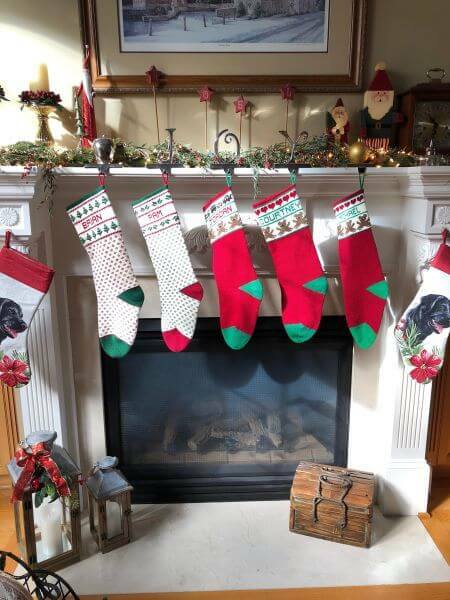 Children and grandchildren have lovely stockings from Vermont for Santa to fill. Grandparents, who purchased the aforementioned stockings, still are using their circa TACKY 1970 stockings…what a difference 47 years make! Dear Santa…please bring us new Specialties in Wool stockings!!! Something about that stretchy, lumpy stocking entices Henry and Cody. They reach their eager little hands down to the bottom and the stockings never snag or get holes. Stockings pop back to shape for the next year. Every stocking has a Christmas bell sitting in the toe and it stays there from year to year. My son who is 30 still has his original bell. I keep them in my cedar chest and they are the last decoration to go up on Christmas Eve, but not the least in enjoyment every year. A family treasure indeed! Safety pinned to a chair like my parents did for us 5 kids, we open our stockings after our son has set the cinnamon rolls to rise and we have opened our Christmas cards. My daughter Jenny places them under our tree for Santa to fill every Christmas Eve. My sons no longer live at home, but Santa still fills them and Mom and Jenny deliver them on Christmas Day. One son has two daughters and the other is expecting in June. 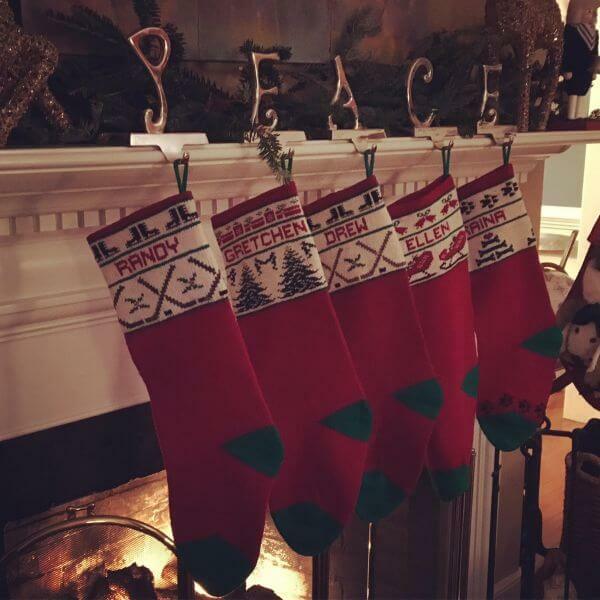 Our beautiful stockings are my favorite part of Christmas decorating each and every year. I just love them. And I still smile remembering how you surprised me with a Christmas tree stocking — the one I had my heart set on for me but it was too close to Christmas to get. 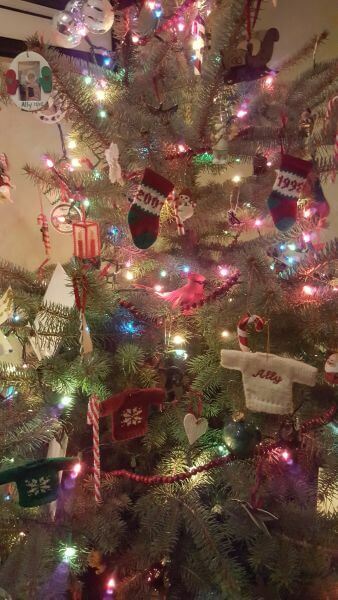 On the tree, you’ll see the stocking ornaments from the year when my kids were born and the sweaters that I’ve gotten the last two years. I fill the stockings the night before, and no one can open theirs until Mom as had her coffee. One of the kids plays Santa and brings each of us our stocking. 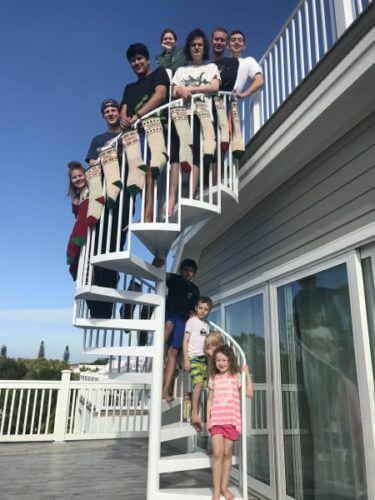 Our stockings are gifts provided as a way to celebrate our first Family experiences – the hearts stockings, the year we got married, Ally – teddy bear, David nutcracker soldiers, and Santa has been our first gift to the last two host sons we’ve hosted from Spain. All near and dear to our hearts. 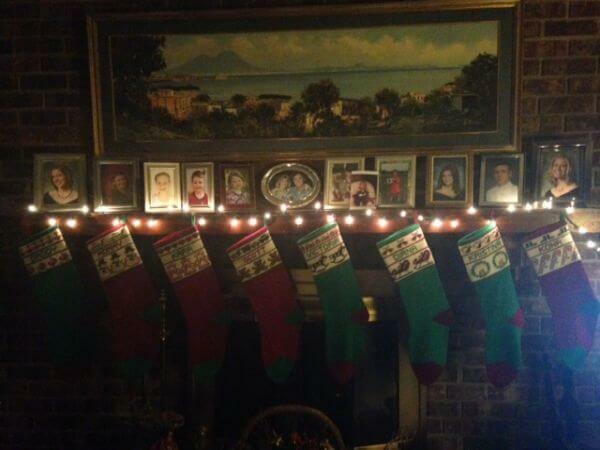 These stockings mean so much to our family. 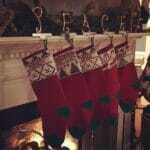 Our stockings were a gift from our grand and great grandparents. 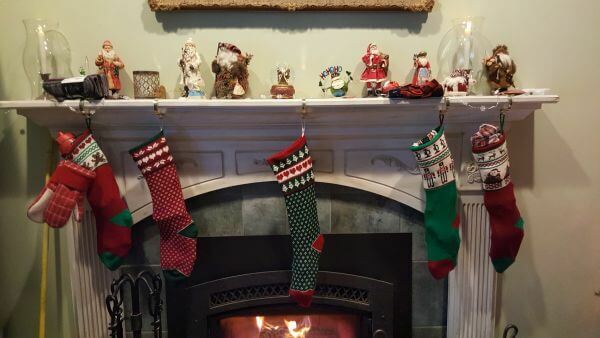 These five stockings have been in many states. We take them with us when we travel during Christmas. Our grandparents gift will always bring fond Christmas memories together. I purchased my two daughters’ Christmas stockings from you over 30 years ago when you had a booth a local craft show. 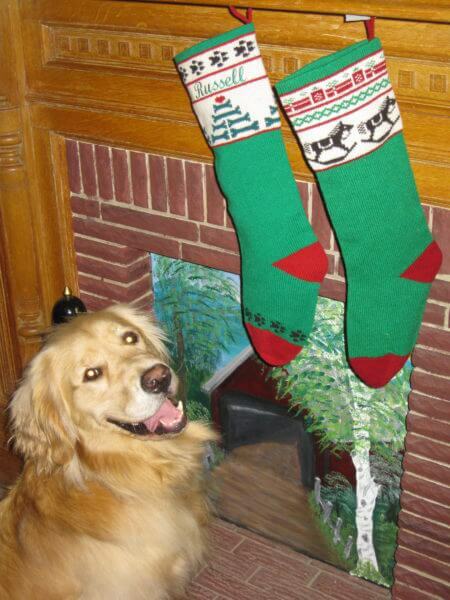 I have purchased your stockings for everyone, including one for my youngest daughter’s dog! 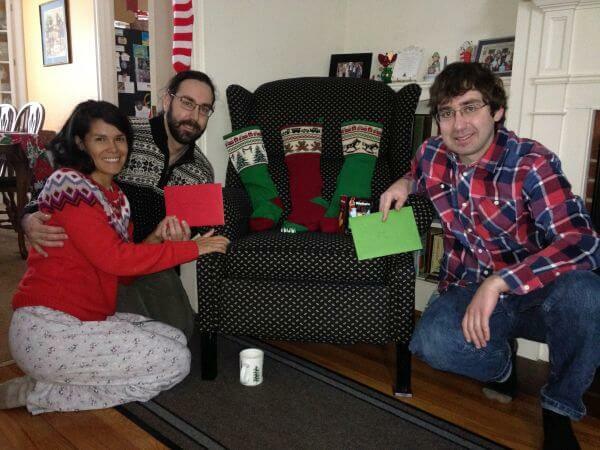 This year I was pleasantly surprised as the recipient of a stocking (CeCe, my “grandma” name). So far our Specialties in Wool stockings total 10!